Click on menu above for more selections. 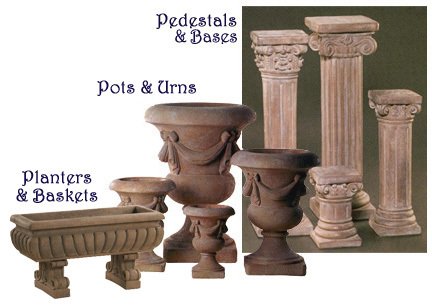 Our Fiore Stone, Als garden art beautiful pottery and pedestals from Elite World of Fountains and Statuaries will compliment any statuary when added to your garden or interior. Each piece is hand finished and may vary some in color.